Supply one of the SoundCloud search options available. 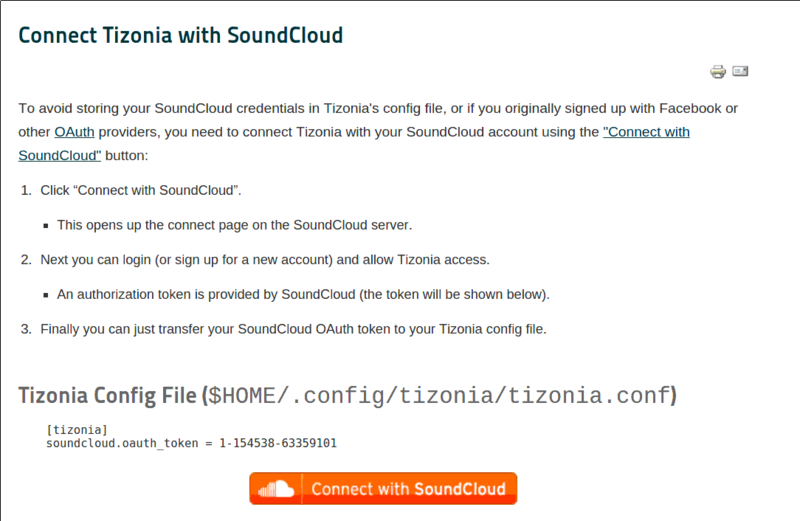 To stream from SoundCloud, Tizonia needs to be 'authorized'. It means that you need the OAuth token provided by SoundCloud. This can be obtained using the Connect with SoundCloud feature. Aratelia Limited is Tizonia's sponsor. Once you have the OAuth token, introduce it in Tizonia's config file. # configure your SoundCloud OAuth token here.